This is our very detailed buying guide for all types of gun safes. If you don’t like our top picks or want to buy from the local market, just follow those things. Gauge is the measurement of the thickness of the steel. The main thing to remember is the lower the gauge the thicker the steel. With any safe, the door is the most secure part. The top and sides will be vulnerable to attack from power tools in case of a burglary. If you opt for a cheap lock box with a high gauge, make sure you don’t leave your power tools near it. Even if you go for a more expensive vault with 8 gauge steel or thicker keep your power tools stored separately. You can get around this issue entirely by installing it into the wall or in a closet so that the tops and sides of the casing are not accessible. The type of locking mechanism that is preferred will depend on whether you want pistol box or a rifle cabinet. The most common reason for a pistol box is to store firearms right by your bed so that it is readily available in case of a break-in. Biometric safes are the best choice for these. All you have to do is touch the reader with your finger and the receptacle opens. If you don’t want to go for a biometric then get a manual key locking one. If you get an electronic combination box it will likely beep with every button you press and if you are in a hurry and mess up the code, it will only beep some more. Rifle safes should almost always be locked with a mechanical lock, not an electrical lock. If you are looking at owning a cheap firearm cabinet, that is all the more reason to not trust the locking mechanism. If you are dropping a few grand on a vault, you know that all electronics fail eventually so why to risk it. The exception is with those great brands like Cannon that offer a lifetime warranty on their bunkers. Then it is reasonable to spring for the electric combination lock in my view. Anti-burglary features are very important. One with internal hinges will usually withstand a burglary attack for longer than one with external hinges. A burglar can remove the hinges to take off the door of a low-quality lock box. With a high-quality cabinet, the location of the hinges doesn’t matter as much; they have thick locking bolts that will keep the door in place. So the rule is simple: if you get a repository under $1000, make sure it has internal hinges. For the more expensive options, it doesn’t really matter. We’re all thinking about the price. When you consider the cost of your firearms, it seems a bit counterproductive to look for the cheapest gun safes for sale you can find, but that’s exactly what a lot of people do. There is always going to be a limit to how much you can afford to spend and not everyone can have the biggest and the best. If you must buy a cheap shell, stick with a well-known and trusted brand such as Sentry or Stack-On. If you are tempted to try saving money by purchasing a weapons cabinet from an unknown manufacturer, remember that you’ll never really know how well such a box will hold up to a burglary attempt or fire until it’s too late. If the only reason that you are getting a cabinet is to meet local laws about locking up your firearms, than any inexpensive receptacle will meet your needs. Just understand it will be useless against robbery and natural disasters. It’s better to stick with an established brand that has a good reputation than to take a chance on an unknown manufacturer. If you are looking at a long-term investment, you should be looking at rifle cabinets over $1200. When it comes to pistol boxes, you will find a selection of glorified pistol cases under $100. These will do for a variety of purposes but you may want to consider something more sophisticated if you expect to keep your kids out of your sidearms. A price range of $150-$300 should meet your needs. Protection from fire is one of the biggest concerns when comparing firearm cabinets. Statistically, a fire is a greater threat to your firearms than a burglary. 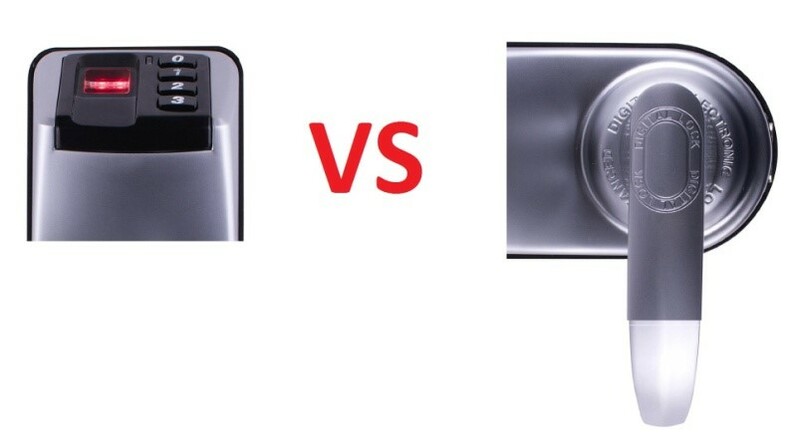 Bear in mind that it’s difficult to determine which fireproof choice is the best when it comes to fire resistance because there is not a standard test for this so you’ll need to brush up on some fireproof gun safe reviews. Different manufacturers use different tests and labs to come up with their fire resistance ratings, and there is no way to accurately determine which one provides better fire protection without uniform testing for fire rating. However, if you have narrowed down your choices to a specific brand based on other features, you can trust that two from the same manufacturer that have a higher fire resistance rating do indeed provide better protection than other models in the same line. Flood protection is something you might not think about if you are not in a flood zone, but it is just as important as fire protection. The reason for this is that firefighters use water to put out fires. If your home catches fire, the fire resistance will do no good if it becomes flooded with water from the firemen’s hoses. 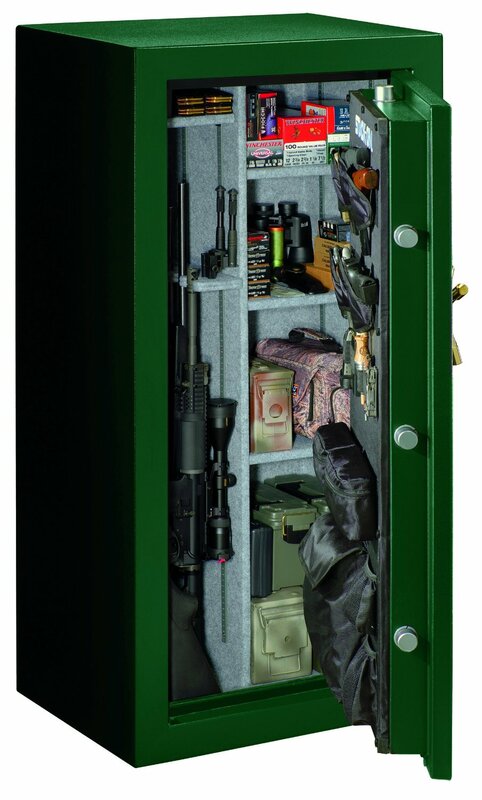 Look for a fine sturdy cabinet that will protect your firearms from both fire and flooding. The first feature you’ll probably think about when shopping for a safe is the size. Obviously, you need to buy ones that is big enough to hold all of your firearms; 58″ is the minimum height for standard rifles. What you may not realize is that you probably need a bigger one than you think. First you have to consider that depending on the size of your firearms, you can expect to fit half of the advertised capacity into it. Then, once you have it in your home, it will be the most secure place in your house to store valuables. Before you know it, your wife will be storing her expensive jewelry there, and you’ll start finding other items that you’d like to have protected from either burglary or fire, such as your will and other important documents. In addition, you’ll need extra space in case you buy more firearms. You don’t want to have to buy a new one every time you add a few more firearms to your collection. Although the number of bolts one uses has some bearing on the security, it doesn’t matter how many there are if they can be easily defeated by drilling. For this reason, an important anti-burglary feature is the presence of relockers. These are spring loaded pins that are set up to trigger if it is tampered with. Relockers make breaking into a rifle safe extremely difficult since it would take hours of drilling to get through just one of them. However, relockers are only found on premium vaults, advertised as having Group II locks. If you are looking at one that does not have relockers, consider the thickness of the bolts a good indicator of security. Anything over an inch will serve you well. Both revolver and rifle safes should be bolted to furniture or the floor, preferably reinforced. Where ever you put your pistol box make sure it is secured. Someone could easily walk off with your pistol lock-box and worry about opening it later. 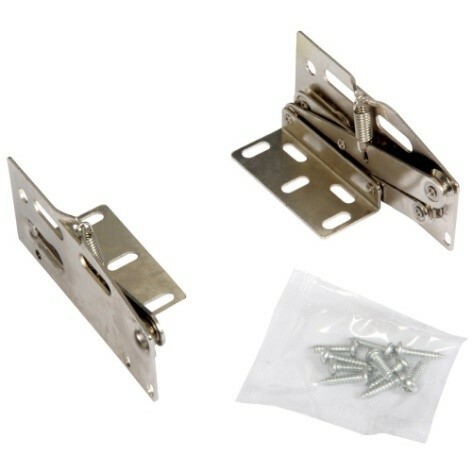 Get one that you can bolt to a drawer or that can be installed on your wall. You’ll be glad you did. Cannon is my favorite brand when it comes to the top of the line brands. The Browning and the Liberty gun safes are way up there too. Sentry makes the best middle of the line cabinets. Homak and Stack-On also do alright too, giving you a good bang for your buck. When it comes to vaults for handguns, GunVault has some terrible reviews due to their failing locking mechanism, but they remain one of the most popular brands. I personally recommend a BARSKA biometric or a LOCKSaf Biometric safe for a sidearm safe. Gun safes are heavy! Shipping can cost a fortune. You want to find free shipping to your door if possible. some retailers advertise free shipping but it is not actually available. They ship to a local pick up place or sometimes even drop off at the nearest major road. With that kind of service, you’d be better off paying for shipping. Availability is another big thing. Many come with options packages. If you want to add an extra option it might take longer to ship and might not be in stock. With any store you use, be sure to check on customer service and make sure they have good service testimonials.